What to Know When Hiring Home Improvement Contractor? You must have come across the term you get exactly what you pay for, right? The same applies when you hire home improvement contractor in Silver Spring MD, Washington. But going by the cost alone increase the risk of project failure. So, you must look for a proper contractor who charges you simply for the services you avail. By hiring a proper and knowledgeable contractor you can be assured of getting good service. 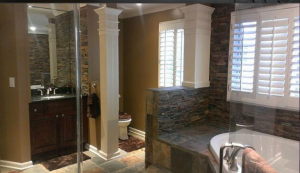 Remember that home remodeling can be a fun thing if you hire the best contractor. Here are some tips to make things easy. One of the first things to do is contact the contractor. Schedule an appointment to discuss your requirement. Remember the right person to hire will be easy to talk. He should be available when you need to discuss things. Good communication is the key to the successful home improvement project. So, hire the professional carefully after a thorough discussion. Ask questions and see if he is willing to answer. If your contractor asks you pay higher than what you expected, don’t worry. All established contractors use best quality materials so charge a little high. But if you find contractors charging you really less know they won’t provide you with a good service at all. The best thing would be to get quotes from several contractors, compare the cost and then decide. Ask the contractor for a written description of the materials he would use. The first thing you should notice is the contractor’s credentials. See if he has enough experience to provide the service you need. Also, abbreviations beside the name denote certifications from several organizations. So, check that carefully when hiring. Apart from this, also ask him if he has license and insurance. This would help you get good service without any worry. Find out if he is a member of any recognized organization as this would ensure good service. If possible ask him to show proof of his experience. No experienced contractor would hesitate in showing you his proof of experience.